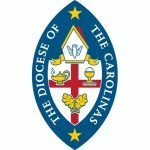 Highlights from the 2018 ADOC Clergy Conference and ADOC Diocesan Synod. The ADOC Synod opened with worship and a beautiful dinner on Friday night. Saturday morning we heard introductions of guests (including REC Bishops and their wives) and heard presentations from our bishops. ADOC received 10 new clergy, 3 new church plants, a new parish (St. Thomas Mt. Pleasant) and 3 new college ministries (Clemson, USC, UNC). We learned that there have been 19 ordinations in the past year, a flourishing Soul Care Office and we elected representatives to Diocesan Council, Provincial Council and more. God is leading and we give Him praise.